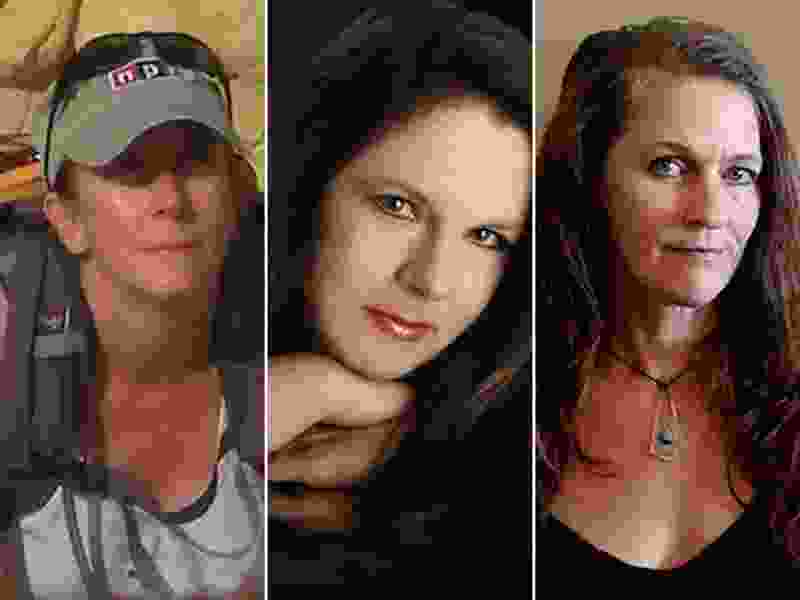 (Courtesy photos) Utah authors Jana Richman, Julia Corbett and Amy Irvine. Edward Abbey roamed what is today Arches National Park as a seasonal ranger in the 1950s, treasuring the isolation and the harsh but fragile landscape that surrounded him. His observations and experiences became “Desert Solitaire: A Season in the Wilderness,” considered a classic of nature writing that helped spur the modern environmental movement. To mark the 50th anniversary of its publication in 1968, Back of Beyond Books in Moab commissioned Amy Irvine to contribute a 3,000-word essay for a publishing project that includes printing a facsimile of Abbey’s typed draft. But when Irvine, a sixth-generation Utahn and a public lands advocate, started to write, she found she had a lot more to say. Her imagined conversation with Abbey, updating him about what has changed physically and politically since “Desert Solitaire,” became her own book: “Desert Cabal: A New Season in the Wilderness,” being published in November by Torrey House Press. Her book is one of three recent releases by Utah women writing about the impact of wilderness and nature on their lives. 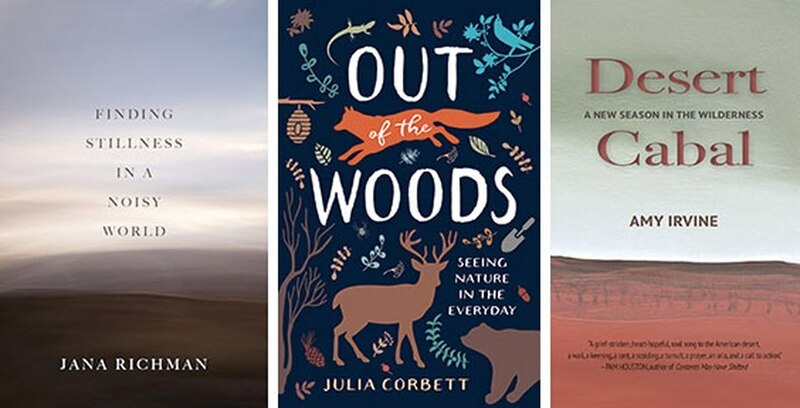 (Courtesy photos) Covers of "Finding Stillness in a Noisy World" by Jana Richman, "Out of the Woods: Seeing Nature in the Everyday" by Julia Corbett and "Desert Cabal: A New Season in the Wilderness" by Amy Irvine. Each of her essays plays off a chapter in Abbey’s book. From his first morning in the desert to his tale of a snake that guarded his campsite, Irvine questions and compares their experiences, including their failed marriages. Irvine values community over the solitary life celebrated by Abbey. “By nature, we are a cabal. A group gathered around a panoramic vision, or passion. A group gathered to conspire, to resist,” she writes. Some have criticized her for confronting Abbey when he can’t defend his ideas or without a response on his behalf, she said. Her intent, she added, was to raise questions she would like to be able to ask him and to convey her belief that more can be accomplished by people working together than by revering solitude. Escalante author Jana Richman’s collection of essays examines the geography of the desert and how it relates to her internal landscape. She describes the eroticism of digging in the dirt and how the shush-shush of walking in deep snow can calm and quiet her fears. Monsoonal desert rains taught her the importance of allowing kindness and love to flow to her. Many of her experiences taught her a reverence for silence, being still and listening. “The hope in taking these [environmental] issues, water issues, public space issues, through a personal lens is that they resonate in a universal way,” she said in an interview. Many of her essays are set in or inspired by Escalante and the lands in the original Grand Staircase-Escalante National Monument. “Finding Stillness” was published by University of Utah Press. University of Utah communication professor Julia Corbett argues in a series of essays that nature isn’t just “out there” — it’s all around us, from your coffee cup to the chair you’re sitting on. Everything we use, wear and own comes from some element of nature. Corbett describes how “our language reinforces this us-them boundary; when we say ‘animal’ we typically mean the nonhuman ones” and how that conveys a sense of otherness. We may take better care of our planet and its inhabitants, she says, if we not only change our language and our notions of nature, but realize just how much we are interconnected to this place. “Out of the Woods” was published in September by University of Nevada Press. Booked on 25th in Ogden on Oct. 25 from 6:30 p.m. to 8 p.m.